MK Nahmias-Verbin reacts to report that Knesset members will not be invited to ceremony marking U.S. Embassy relocation. 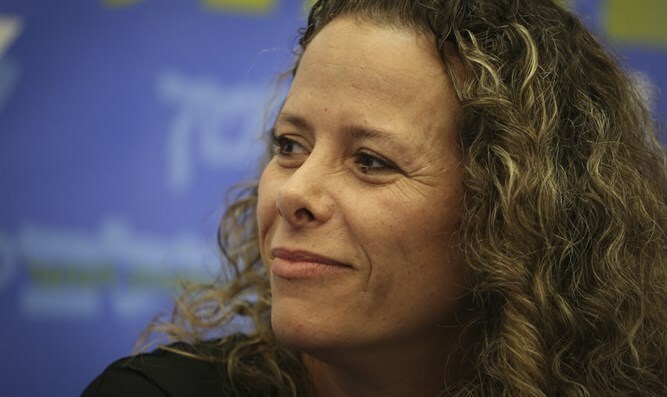 MK Ayelet Nahmias-Verbin (Zionist Union) criticized the U.S. Embassy's decision not to invite Knesset members to the ceremony marking the relocation of the Embassy from Tel Aviv to Jerusalem. "I am sorry that it was decided not to invite MKs to the ceremony marking the opening of the U.S. Embassy in Jerusalem. This is a special moment in history and it would be the right thing for us to be partners to the excitement,” she wrote on Twitter. Arutz Sheva reported earlier on Thursday that Knesset Members will not be invited to the festive ceremony that will be held in the Jerusalem consulate that will now become an embassy. The reason for the decision to ban MKs is unclear, but it is possible to believe the U.S. is concerned about provocations of various kinds, both political and otherwise, such as the selfie photograph by MK Oren Hazan with President Donald Trump during his last visit to Israel, which led to ministers being barred from future official ceremonies.